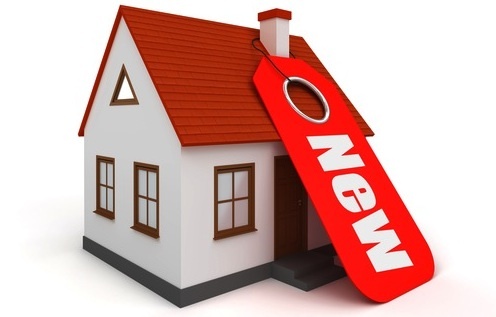 The United States Department of Commerce released its ” New Home Sales Report” for August 2012. 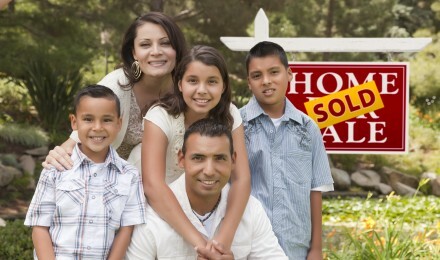 The data indicate sales of new single-family homes fell 0.3 percent to 373,000 homes than the July rate of 374,000 homes. A Reuter’s poll of 71 economists conducted before the report was released estimated an annual rate of 380,000. Still, the housing industry is showing signs of strength as a year to year comparison for August 2012 compared to August 2011 shows a healthy increase of 27.7 percent compared to the August 2011 report of 292,000 new single-family homes sold. Some believe that a contributing factor is the number of completed new homes on the market, which was only 38,000 units, may have contributed to the modest decline in month to month sales. The average sales price for a new home was $295,300 while the median sales price was $256,900. The Commerce Department said that prices are at a five year high, with price increases showing strength for the first time at the lower end of the market – the same segment that was hardest hit when the housing crisis struck in 2006 and fueled the recession that followed in 2007 through 2008. This is another signal that the recovery in housing is broadening. The Commerce Department estimates that that there are 141,000 new homes in inventory which translates to a four and one-half month supply at the current rate of sales. This is unchanged from July 2012. Although homebuilder sentiment rose to a healthy six-year high economists continue to be concerned that the recovery in the housing market is not strong enough to overtake manufacturing as the key driver of the economic recovery. A major factor in the demand for new homes is the record-low interest rates for mortgages that are bringing buyers into the market spurring demand for homebuilders. Also, decreasing supplies of foreclosed properties are starting to loosen their grip on the downward pressure on new home prices. The Federal Reserve announced recent actions targeting the housing market with new measures aimed at growing the economy and reducing unemployment. As demand continues to improve giant homebuilders such as Lennar who is based in Miami are optimistic. “Simply put, the housing market is recovering, not only are our sales margins and backlogs improving, but the beginnings of a sense of visibility are coming back to underwriting land acquisition and planning for the future,” remarked Chief Executive Officer Stuart Miller earlier this week. “The home building business is beginning to revert to normal and that’s positive for the U.S. economy in general, which is in turn good for a sustained recovery in the housing market,” Miller said.